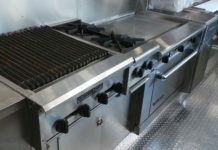 A Certified Food Safety Manager plays a major role in keeping food safe and protects the public from foodborne illness. 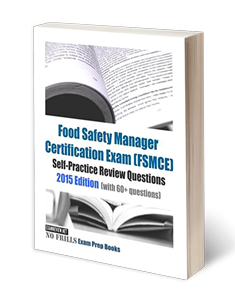 The Food Safety Manager Certification Exam (FSMCE) Self-Practice Review Manual: 2015 Edition reinforces learning and increases knowledge to prepare you for the Certified Food Safety Manager Exam. The self-practice test questions reference the concepts and principles currently valid in the Certified Food Safety Manager Exam. Each question comes with an answer and a short explanation which aids you in seeking further study information. Self-practice Food Manager Certification test questions referencing the concepts and principles in the exam. Each question comes with an answer and a short explanation which aids you in seeking further study information.